Benjamins are pleased to welcome to the market, this extended three bedroom semi - detached property. 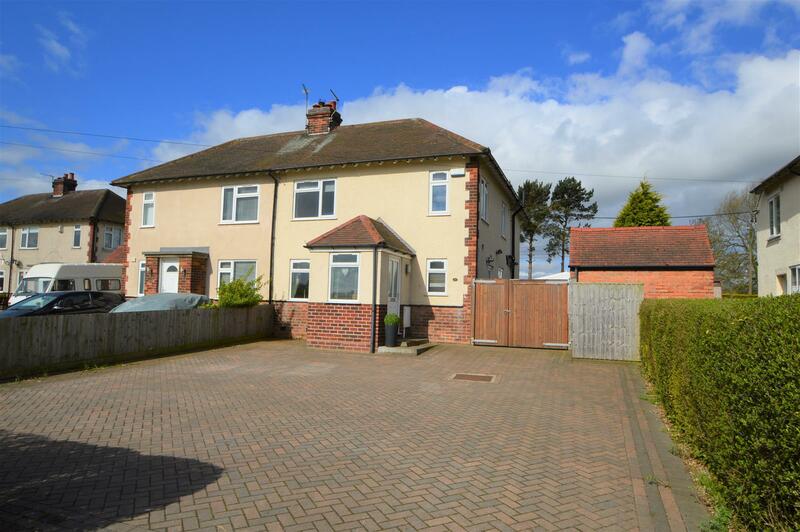 This property sits well back from the road behind a boundary hedge and a wide paved driveway which provides extensive off-road parking. From here there are double gates which open to reveal further parking and access to a rear garage. The property is situated within the village of Costock which enjoys a public house and church with more comprehensive facilities located at nearby East Leake approximately one mile away from the property. Benefiting from UPVC double glazing throughout and a under floor heating system to the kitchen, utility room and sun room. , the property comprises; Entrance hall, living room, open plan kitchen and dining area, downstairs showeroom. To the first floor, two double bedrooms, one single bedroom and a family bathroom. Private garden to the rear with patio area and paved driveway at the front of the property. Double glazed door to side elevation, double glazed window to front elevation, stairs to first floor landing, laminate flooring, radiator, door. Double glazed window to front elevation, feature fireplace with cast-iron wood burner, coving to ceiling, double radiator. Double glazed french doors to rear elevation with double glazed glass side panels to both sides, two double glazed skylights to ceiling, wooden flooring. Double glazed window to rear elevation, comprising a range of wall, base and drawer units with granite work surface over, incorporating stainless steel one and a half bowl sink with mixer tap, recess for cooker with stainless steel extractor canopy over, integrated dishwasher, space for american fridge/freezer, recess spotlights to ceiling, tiled flooring. Double glazed window to side elevation, understairs storage cupboard, recess spotlights to ceiling, tiled flooring. Double glazed door to side elevation, comprising a range of wall, base and drawer units with work surface over, incorporating stainless steel sink with single drainer and mixer tap, recess for washing machine and tumble dryer, floor mounted oil-fired combination boiler, tiled flooring. Double glazed window to front elevation, comprising low level wc, separate shower cubicle with shower and glass door, part tiled walls, recess spotlights to ceiling, extractor fan to ceiling, tiled flooring. Double glazed windows to both front and rear elevations, coving to ceiling, two single radiators. Double glazed window to rear elevation, coving to ceiling, radiator. Double glazed window to both front and side elevations, coving to ceiling, radiator. 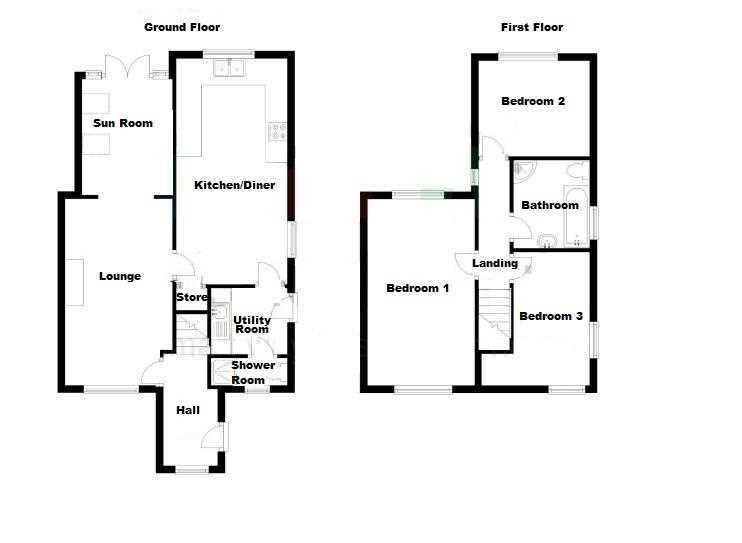 Double glazed window to side elevation, comprising low level wc, circular vanity wash hand basin with shelving below, panelled bath, separate corner shower cubicle with tiled walls and glass door, recess spotlights to ceiling, extractor fan to ceiling, laminate flooring, heated towel rail. This detached sectional garage has up and over door to front elevation, pedestrian door to side elevation, windows to both side and rear elevations, also having power and lighting. To the front of the property there is a blocked paved driveway which also extends to the side of the property offering off road parking for numerous amounts of vehicles, this also leads to the rear garden which is laid to lawn also having a raised decking area which offers wonderful views. There is also access from the rear to an exceptionally good sized garage/workshop. The local authority have advised us that the property is in council tax band B which we are advised, currently incurs a charge of £1403. Prospective purchasers are advised to confirm this.